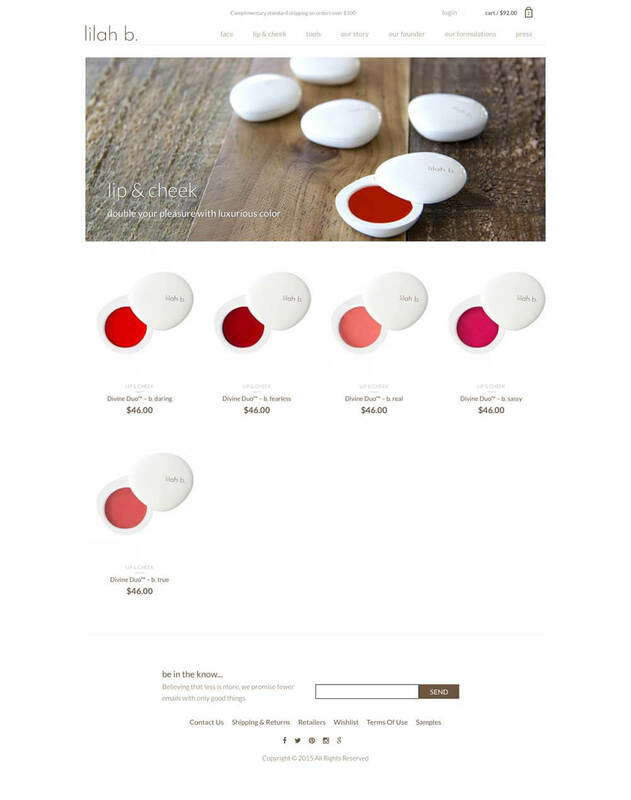 This new cosmetics company is bursting on to the scene with a new and beautiful approach. Their all natural formulations set them apart from other competitors. 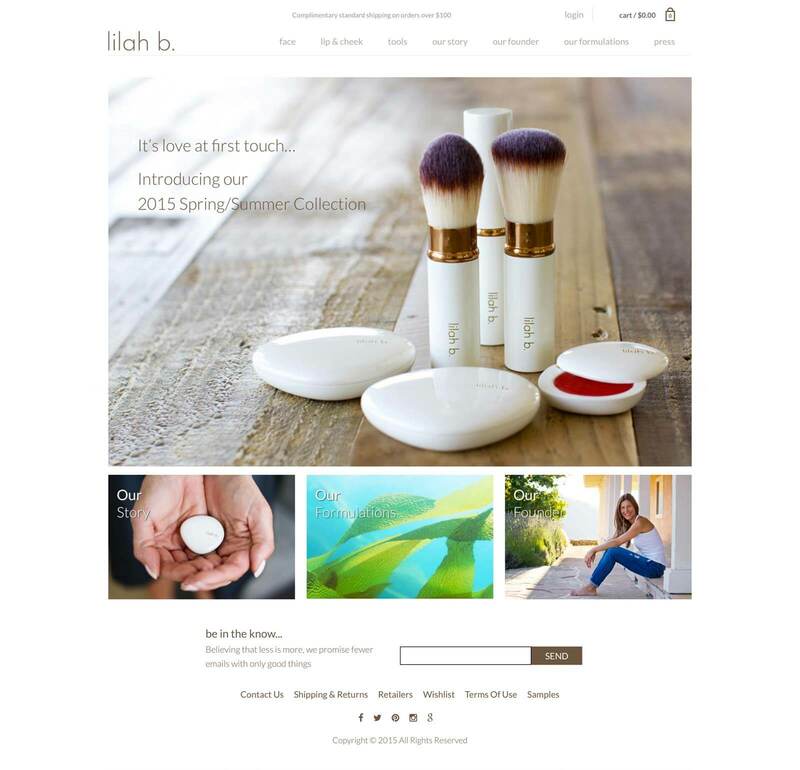 lilah b. founder Cheryl Yannotti Foland called on Travers + Todd to create a robust e-commerce site which would allow the company to quickly and easily add new products and content. 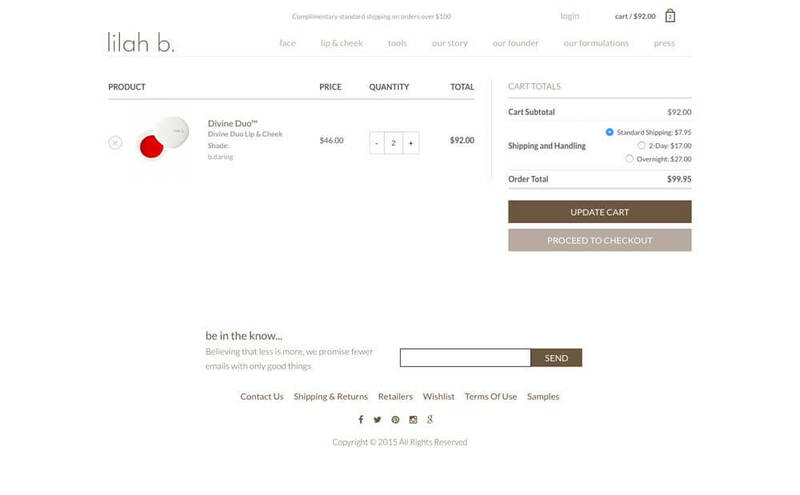 We did just that, designing a minimalist site for a product that has the same philosophy of keeping it simple. 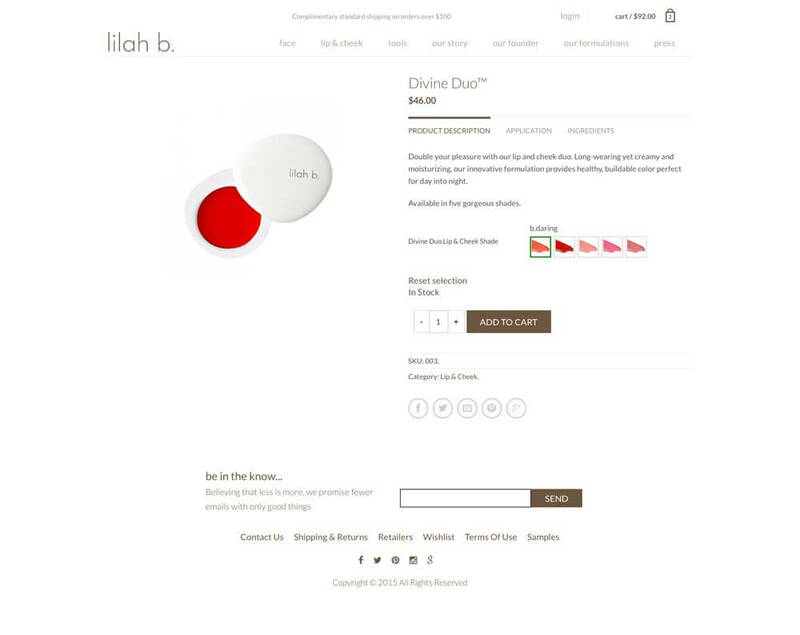 The clean white background lets the pigments of the cosmetics shine, creating a vibrant contrast.